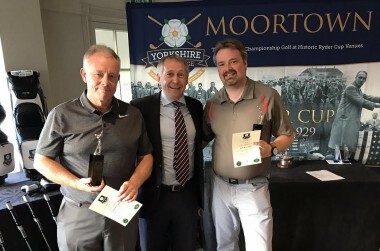 A BIRDIE on the final hole of the three-day Yorkshire Challenge earned Howley Hall’s James Appleyard and Miles Foster the title of Supreme Champions for 2017. It meant, after leading by three points overnight, that they held on to finish just a point clear of Lindrick’s Julian Maturi and Bailey Gill. 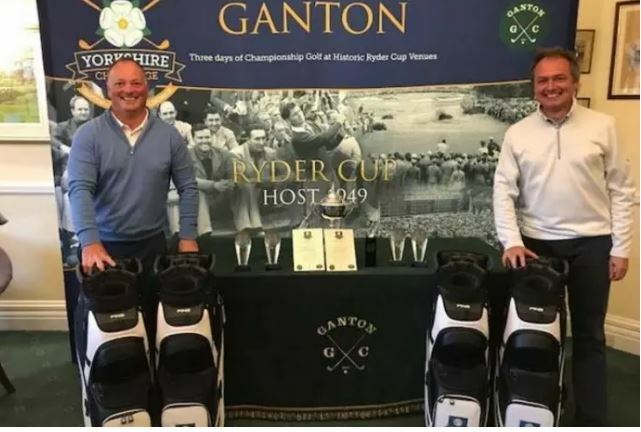 The annual three day event which is one on the biggest competitions for club golfers in the country saw more than 220 pairings compete at the county’s trio of courses that have staged the Ryder Cup. Appleyard and Foster closed with 38pts at Ganton after accumulating 44pts at Moortown followed by 44pts at Lindrick. 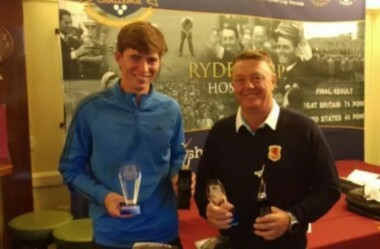 Yorkshire county player and England U21 international Gill and his part time caddie Maturi did their best to overhaul Appleyard and Foster’s 36-hole advantage with a tally of 40 around their home track but it was just not enough. They did, however, win the Ganton division with 43 42 40. Appleyard and Foster triumphed in the Moortown division (44 44 38) and Bawtry’s Neale House and John Davies won the Lindrick division after carding 44 40 38. The three divisions are named after the course on which the pairings began their pursuit of the overall and series contests with prizes for divisional and daily triumphs. Appleyard and Foster will not have known it, but a no-point return on hole eight, which led to a 17-point outward total on the last day, meant Maturi and Gill – with 20pts after nine – had drawn level. However, Foster had a net eagle at the 13th worth four points and Appleyard birdied the next two and, crucially as it transpired, the very last hole of the 54 at Ganton that proved to be decisive. Maturi and Gill had two birdies on the front nine and two more on the back, but had to settle for runner-up spot in the overall Challenge. Third place overall went to former Leeds United winger Lee Sharpe, of Moortown, and Scarcroft’s Ian Miles. They carded 40 41 43 at Moortown, Lindrick and Ganton respectively, the latter giving them victory on the day.